I knew I will enjoy Masquerade the moment I read the blurb and especially because it is in a medical setting.It all started at a masquerade ball that Sophie has to attend and met Alex but both of them didn't know who each other actually was until the fateful day in the hospital when both realized that they were actually colleagues. The idea was actually fantastic! I was eager to read how both of them realize that the attraction was real and how they put behind their pasts to be together. I was irked by how Alex reacted badly to an accusation just when they were about to get their happy ending. It was a drastic and dangerous situation that made him realize what is the most important thing. I personally thought it was kind of predictable but it was good! I love how Sophie was protrayed. Even though she came from a wealthy family, she did not flaunt her wealth and even wanted to work harder in her own work. I really admire this personality. Masquerade is a lovely romance that I enjoyed reading and I have to say I'm looking forward to more works from Nicole! 1. How would you describe Masquerade in one sentence? Amongst the allure of a masquerade ball, two people connect and their lives will never be the same again. 2. 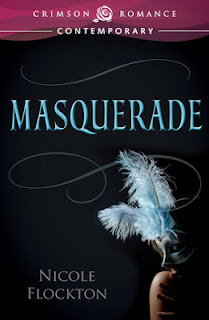 What inspired you to write Masquerade? It was a New Year’s Eve and I was sitting at home on the couch (as you do when you have young children and no social life) and an idea hit me about two girlfriends gate-crashing an exclusive New Year’s Eve ball. Their rescuer would be the hero for one of the girls. I played around with the scene and left it for a while. A few months after that and after a random chat with my critique group where one girl mentioned that she’d been to a Masquerade Ball. The idea of strangers meeting while wearing masks stuck and it evolved to the story it is now. 3. What's your favorite part of writing Masquerade? I think it was the opening chapter where they meet at the ball and had an instant connection, but had no idea what each other really looked like. Then the scene when Sophie’s secret, one night stand turns up in her workplace. In her mind he was her guilty pleasure and wasn’t meant to turn up in real life again! 4. While you were writing, did you ever feel that you were one of the characters? I think I always picture myself as the heroine. I try to think of how I’d feel in situations I put the characters in and use my emotions as a basis and then increase the reactions ten-fold. Plus the apartment building where Sophie lives is based on an apartment building in Perth, Western Australia. I would love to live there with the river and city view! 5. Where is your favorite writing spot? My desk is in the family room, so I’m always writing to the sound of the kids watching Sponge Bob or whatever sport is on the TV. 6. What do you usually do when you are not writing? Reading. I love to read. But I also have two kids so sometimes I’m doing things at their school. And I also work remotely for my job in Australia so I’m always putting a few hours in each day for them. But if I could I’d probably read all day. One day I’m going to do that! 7. Now that Masquerade is completed, will there be any upcoming projects that you can share with us? I’m currently working on a proposal for two of the characters in Masquerade. As I was going through the edits the characters started talking to me. I’ve got a good handle on one story but the other one needs a little tweaking. I want to say thank you for picking up my debut release and I hope you connect with Sophie and Alex and ride the emotional rollercoaster they rode to get to their happily ever after. I would also love to hear from them, even just to say hi. Hi Michelle! 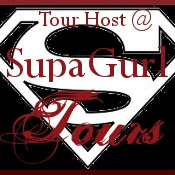 Thanks for having me on your blog and I'm working on having more books out next year!